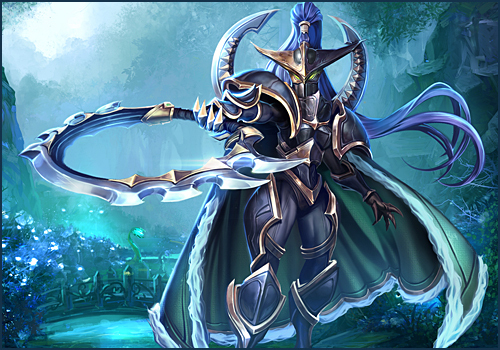 Our most recent Heroes of the Storm patch featuring Maiev, Voice Chat, and balance updates is now available for play. Target Info Panels have been introduced to allow players to investigate a unit's gameplay stats in real time. Developer Comment: Malthael, while powerful, has relied heavily on Tormented Souls to apply his Reaper's Mark during team fights. By making his Basic Attacks cleave and increasing the usability of Death's Shroud, we're providing more ways to him to apply his Mark to multiple enemies. Not only does this increase his survivability and damage without relying solely on Tormented Souls, it also gives him more options to use Wraith Strike. We've also sought to increase the usability of Last Rites to make it a more enticing Heroic option. Lastly, the ability to apply Reaper's Mark reliably makes it much more powerful, so we've adjusted the tuning of its damage and associated Talents.